How she manages to find the time to be anything else while being in the dissertation stage of pursuing her Ph.D is beyond me… I can barely walk and blow bubbles at the same time… I kid, of course! 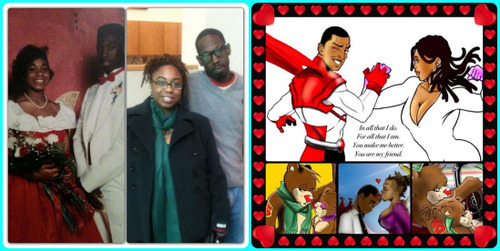 But she is, she is doing everything while completing her Ph.D in Sociology from the University of North Texas. 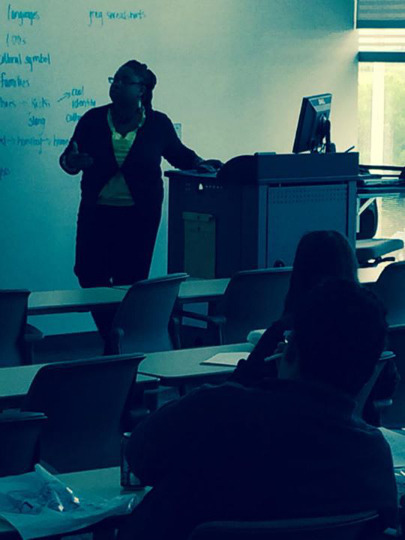 Her work is focused on African Immigrants in the United States and Identity Formation and or Retention. How do they navigate the immigration process? What is it like being an immigrant of color? How do they identify or continue to identify? Is their identity defined by ethnicity, nationalism, or race? Very interesting work on navigating the process of immigrating and how it shapes identity… Although I’m not an immigrant, I am relative to more than a few and that whole process… Just whew! And identity, Listen Lindas and Lonnies! People of Color, don’t we know something about that identity…Or we learning. Which brings us to the business woman… As Owner and C.E.O of Zenzile’s (pronounced Zin. 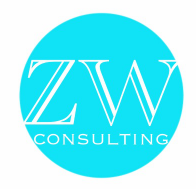 Zee.Lay) Way Consulting, Giovanni is leading the way in Public Speaking, Writing, Editing, Coaching, Diversity Training, Workshops and Corporate Communications with creative magic and keen insight. Through her company and aligned with her astrological nature, Giovanni will be launching her Luxe Libra Lifestyle brand (Coaching) in the upcoming month, which promotes “Better living through balance.” And has already embarked upon a partnership, The Scoop Divas, with Black Opal Media– a division of Harkins House Productions– offering on-site social media management and public relations… Meaning they can take our local events, GLOBAL! Somebody shout Gloowwwwray with me!!! And just when it looks like her plate could get no fuller, Giovanni adds just one mo’ thang! Community Service, again the GioD lives her politics and she does so seamlessly: The Activist Mother, The Business-Partner Wife, The Student and The Educator… Giovanni has currently picked up the mantle and is working on several projects in Memphis, including Memphis TEEN SUMMIT, a live series based on BET’s popular nineties TV Show that launched the career of Ananda. MTS is also part of an effort of supporting and welcoming the Cutting Edge Youth Summit , a project she’s been involved with for several years, to Memphis (February, 2015) And at the same damn time she has partnered to organize a push to bring FREE Yoga classes to under-served areas in and around Memphis through the Memphis Urban Yoga Initiative… Oh did I mention, she’s a YOGI! Yazzz! That too! Yeah!!! She is the GioD an amazing, magical womb warrior! Watch as Giovanni answers the 7 Questions I ask Everybody and we totally NERD out about Office Supplies! 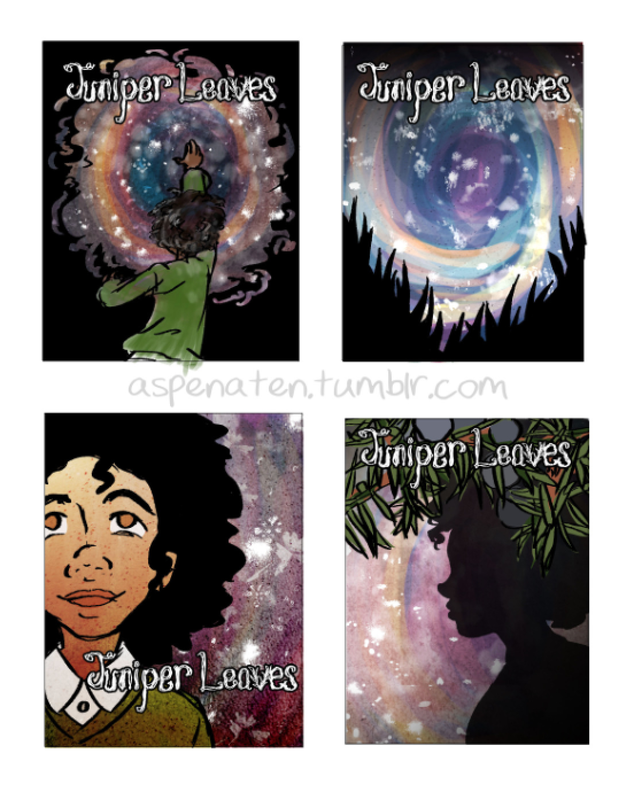 Juniper Leaves: Upcoming YA Fantasy Book featuring QPoC. Episode 12: The One With A Little Vino. This week the cast discusses particle physics, the death of Wolverine, and we petition to put FB stickers well…everywhere; all while sipping a little Merlot cuz we so fancy!